Proteins commonly produce their actions by recognizing and binding to other molecules, and for these interactions to occur, the shape of the protein must match the shape of the other molecule. This may be exemplified by the interaction of an antibody protein and an antigen, and between the opioid receptor protein and morphine or heroin. All proteins have three and sometimes four levels of structures: the primary structure consists of a simple chain of amino acids arranged in a linear fashion; the secondary structure has folding or coiling within the protein structure; the tertiary structure is the three-dimensional shape of a folded protein; a quaternary level is when two or more peptides are joined together to form a single large protein. 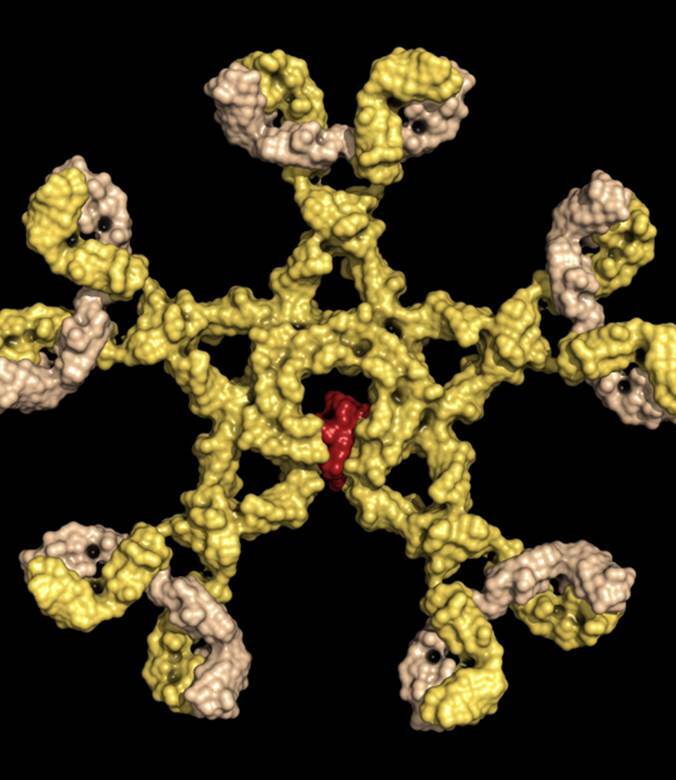 Proteins are only able to function biologically when their chains are folded into three-dimensional shapes. From the mid-1950s, Christian Anfinsen, an American biochemist at the National Institutes of Health, studied the relationship between protein structure and its function. For this purpose, he selected the protein ribonuclease, an enzyme that breaks down ribonucleic acid (RNA). Ribonuclease is stable, of small size, well studied, and readily available in purified form from commercial sources. In 1957, Anfinsen determined that after the three-dimensional structure of ribonuclease was disrupted and lost its biological activity, it spontaneously refolded and returned to its native (normal), fully functional shape, with its enzyme activity restored. Many other proteins respond in the same manner as ribonuclease. From these experiments, Anfinsen concluded that the information required by a protein to assume its final three-dimensional configuration is encoded in its primary structure—namely, its amino acid sequence. Moreover, according to Anfinsen’s “thermodynamic hypothesis,” ribonuclease assumes this three-dimensional structure because this structure is most stable. In 1972, Anfinsen was awarded the Nobel Prize in chemistry for establishing a connection between the amino acid sequence of a protein and its biologically active shape. A number of diseases—as Alzheimer’s, Parkinson’s, and Huntington’s—have been associated with an accumulation of misfolded proteins, all of which are thought to have an amyloid protein origin, increase with age, and may have a genetic basis. SEE ALSO: Enzymes (1878), Adaptive Immunity (1897), Ehrlich’s Side-Chain Theory (1897), Inborn Errors of Metabolism (1923). Immunoglobulin M (shown), by far the largest antibody in the human circulatory system, is the first antibody to appear on the scene during an infection, and its detection is often used in the diagnosis of infectious diseases.